“God ( אלהים ELOHIM) looked”. Elohim is the aspect of judgment, Left, in this world, YHVH is the aspect of Right, mercy. The world was created by ELOHIM and man by the two aspects of God, YHVH and ELOHIM because the soul of man comes from the higher level and it includes mercy. Man was made from the earth for the purpose of commanding it. Because of that man and earth affect each other. The outcome of our actions, positive or negative, reflected in our environment. This relationship of man and earth began with the first sin of Adam. We read in Genesis 3:17 “Cursed is the earth because of you”. God cursed the earth because of Adam’s sin and created a direct link between man and earth. Deadly and destructive hurricanes and storms, Earthquakes, Tsunamis, wildfires, breached dams and similar disasters are the result of the negativity that spread in the world in recent time. The Zohar continues discussing the aspect of ‘corrupt/destructive’ ‘משחית’ and refer to the sin of spilling seeds as great ‘corruption’. Spilling seeds outside a proper vessel is a serious sin. The seeds have the energy of life generating with energy from the higher level. When they are wasted, their energy goes to the other-side and add to the aspect of death in the person’s life and the world. This sin creates great distance between the sinner and the life-force that comes from God to benefit all aspects of our lives. These sins registered on the person’s forehead and could attract the negative-side to inflict harm on him. The Zohar tells that only great repentance could help in this case. After the sin Adam was separated from Eve for 130 years. 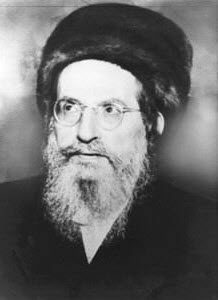 During this time, he had improper relationships and spilled seeds that was used by the other-side to create the souls of the Erev-Rav. That corrupt our connection with God in every way possible. They affect the purity and honesty of our relationships. The sexual organs are the aspect of Yessod that is the channel of ‘Life’ to the world. Corrupting this channel affect the manifestation of good in our lives. Lack of steady sustenance and business failures are signs of not keeping the purity of this channel. Sooner or later the outcome ‘catch-up’ with us. To cleanse the negativity of this sin one should connect to ‘life’ by immersing in a Mikveh and Study Torah from the Zohar. It is one way to reduce the negative impact of this sin. Covering the forehead is recommended especially when in a negative environment and the ‘agents’ of the other-side’ may notice that person and ‘deal’ with him. Everyone should cover their forehead when visiting a cemetery. Another cleansing method of the channel of Yessod was revealed by Rabbi Nachman of Breslov with the Tikkun Haklali. I recommend to women to protect their husband from corrupting their channel because it affects the relationship and the ‘Life’ energy and sustenance in the home. Both should have proper unification even if it’s not for having children. The ‘fruitfulness’ of their lives and home comes by keeping channels of life open and pure. Having time together and scheduled unifications draw life-force into their lives even if one of couple lost the ‘appetite’.